Many people want to know the answer to this question. As the season’s change, your lawn starts to react differently. The real answer to the question is that there is really no set time when to stop mowing your lawn. I will explain that shortly. When the seasons change it brings about a change in weather. 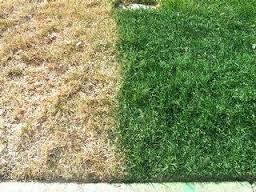 This has an effect on lawns depending on the region that you live in. This simply means your lawn takes a nap to get through the colder temperatures. When this happens will depend on what region you reside in because the dormant temperatures will be different. In warm season areas, your grass will go dormant in soil temperatures lower than 55 degrees. The cool season areas the grass goes dormant at soil temperatures below 45 degrees. These temperatures must be constant and no fluctuating from lower to above the specified temperature. 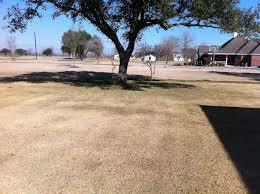 Whenever your lawn goes into dormancy it will not look appealing at all. It will be thin and discolored. It can make you think your lawn is dying in some cases. But know that as the temperatures warm up and stay steady it will green back up. This normally starts to happen in the Spring when the conditions are favorable. Below is a video explaining dormant grass. When Autumn rolls around you can expect it is pretty much the time of year for the temperatures to start declining from hot to cold and depending on what nature does will determine how soon the soil will get to the temperature to put your yard in a dormant state. The only thing that really will stop you from mowing your lawn is snow, the temperature, rain, or ground frost. So until the temperature makes you soil get and stay below the temperatures mentioned earlier, you will have some growth. This means there is really no definite time to say when to stop cutting your lawn. When you might be used to having your lawn cut every 10 days to 2 weeks, you might be cutting it once a month until nature finally puts your lawn to sleep. Thank you for visiting and if you would like to comment or ask a question you can do so in the comments section below. Awesome, informative page! I live in Australia and it is a cultural Gibbon to have a lawn to the front and rear of your property haha. I am an example of this cultural gibbon as I do have lawn both at the front and rear of my property. However, I am not as educated as I perhaps should be on the subject of lawns considering the volume of lawn I have on my property, All I do is turn the hose on and water it when I need to, then turn the hose or sprinkler off, that is the extent of my knowledge when it comes to lawn. I had no idea about dormancy and I always assumed that lawn was dead if it appeared that dull color, I am pleased to have read this page as I now know that this is a myth. Great video insert and page layout too. Thank you very much. I was hoping that my post would make people aware of what goes on with their lawns. Many people just water and cut their lawns and not know that their lawn needs attention to look its best. Thank you so much for the compliment. Yup, my lawn is brown, brown, brown. For the most part, I am not too worried about it as everyone’s lawn is brown this time of year. Will all the rains to come during the winter, it will green up pretty quick. In fact, there are times that the grass needs to be cut in the middle of winter!!! I live on Vancouver Island in Canada. You are so right. This is because if nature makes the environment favorable for growth, the grass will grow no matter when it is. Great piece of information. I never really had this problem where half of my grass was dead looking and not the other. I guess my property keeps good levels of moisture where I live. Whether it’s rain and me watering, it always looks nice and even everywhere. But thanks for this, I will keep it in mind. Very nice. Your soil is probably extremely healthy. 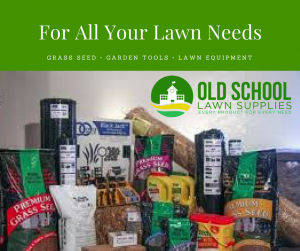 But there has got to be a time your grass goes dormant unless where you live it never gets below 45 to 55 degrees depending if you are in a warm climate or cool climate.